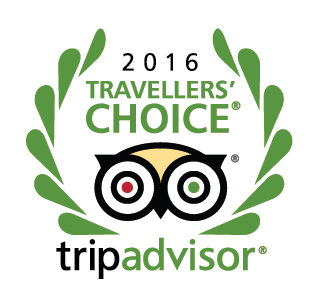 Muckrach Country House Hotel today announced it has been ranked as 3rd best in the Uk & 11th best in Europe in the Best Small Hotel category of the 2016 TripAdvisor Travellers’ Choice™ awards for Hotels. For the 14th year, TripAdvisor has highlighted the world’s top properties based on the millions of reviews and opinions collected in a single year from travellers around the globe. Winners were identified in the categories of Top Hotels, Bargain, B&Bs and Inns, Luxury, Service and Small Hotels. The hallmarks of Travellers’ Choice winners are remarkable service, quality and value. Mindy Cowap, part of the Cowap family who own and operate the hotel, said she was delighted with the accolade, and rightly so. Competition has come from across the globe with top 10 entries from far flung places including Taupo, New Zealand, La Fortuna de San Carlos in Costa Rica, Capri in Italy and Ko Tao in Thailand. “We are more than happy with how things have gone since Muckrach Country House Hotel opened in April, last year and it is wonderful to have this recognition.